Juice is a podcast receiver that will download and manage your podcast subscriptions. 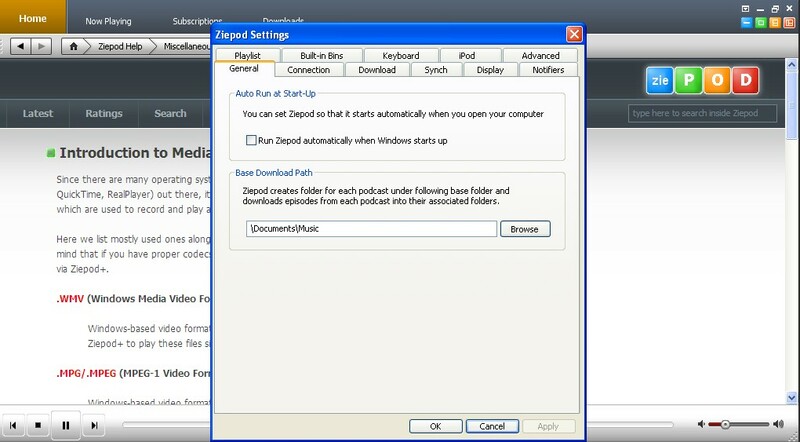 The program includes a large built-in directory of podcasts (note that some are no longer active) and by default saves downloaded podcasts to the JuicePortable\Data\Downloaded Podcasts folder. Juice Portable is a portable version of Juice using the PortableApps.com Format. How to extract: Download the installer and extract to a folder of your choice. Launch JuicePortable.EXE. Robert's Podcatcher automatically downloads podcasts audio/video files to your computer. 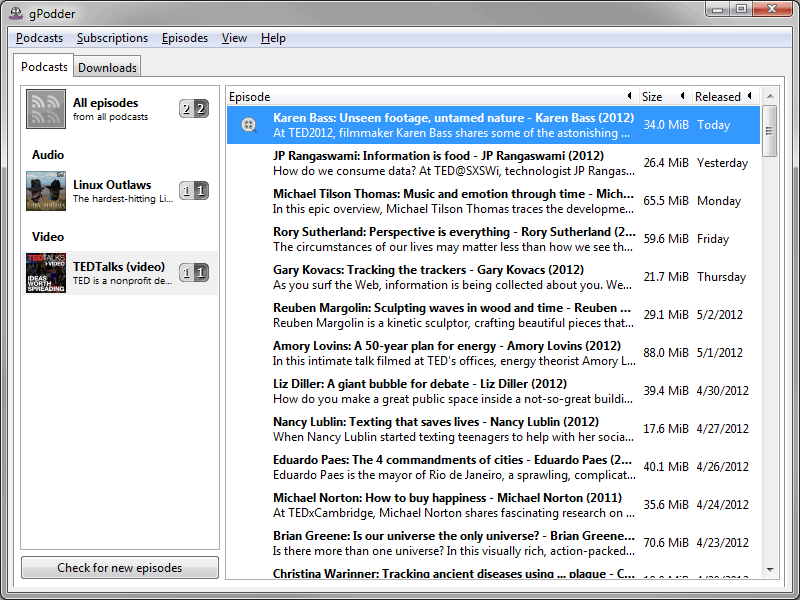 It downloads all new podcasts in a given RSS feed, not just the top one. It also lets you load your player with songs randomly selected from your MP3 collection, filling it to capacity. How to extract: Download the ZIP package and extract to a folder of your choice. Launch Robert's_Podcatcher.exe. Addressed error message "Run Time Error 58 File already exists" which involves trying to update the OPML file (where your subscriptions are stored) by manually adding a subscription, while the background service has it open, while it's busy downloading. Also fixed "Catch More" functionality. A user (and contributor) Frank found that some RSS files use tags with an extra space in them (something I was not aware of). e.g. http://www.thenakedscientists.com/naked_scientists_podcast.xml. I added logic to address and overcome this. BTW, links work for me. You're right, they're working for me now too -- maybe I had a short connection problem. The original download and website are gone, I think for good now. Ghacks has mirrored the download, though, at https://www.ghacks.net/download-in-progress/?dlm-dp-dl=139827.